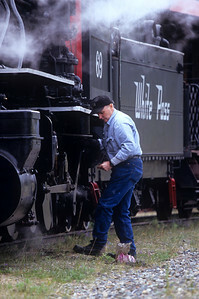 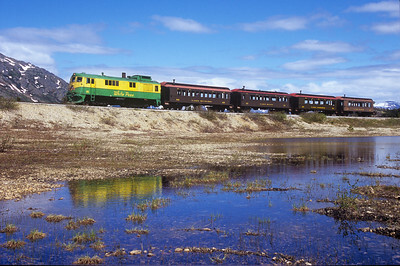 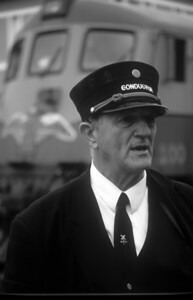 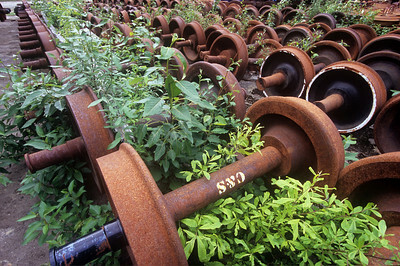 Galleries showcasing photographs of steam engines and diesel powered trains from all over the world. 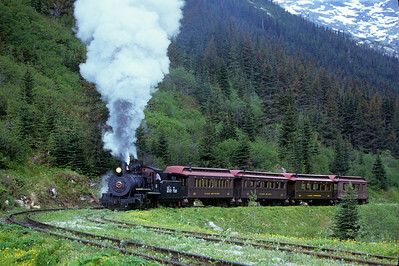 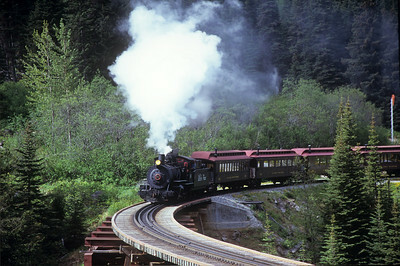 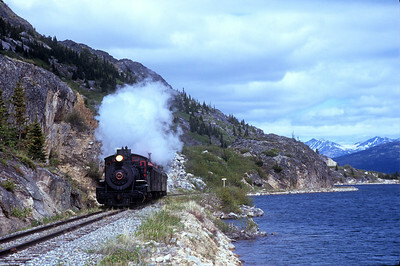 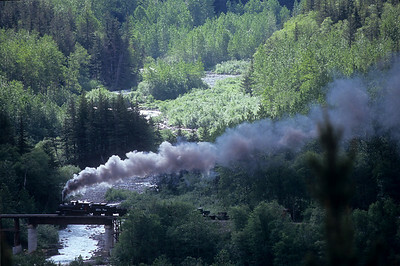 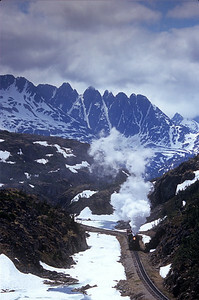 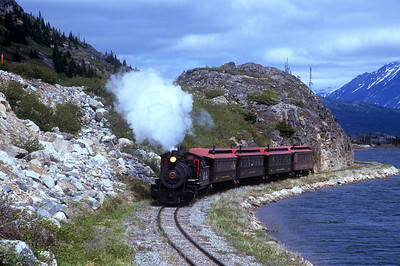 WP&Y steam locomotive #69 runs along Mountain Lake near Fraser, BC. 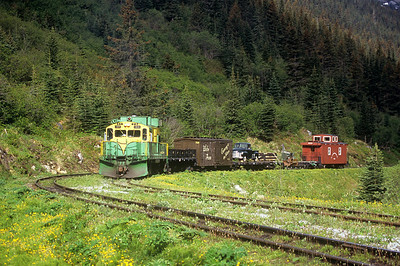 Diesel engine #95, a General Electric built in March 1963, sits and waits near the Canada, US border at a location known as the Fraser Loop. 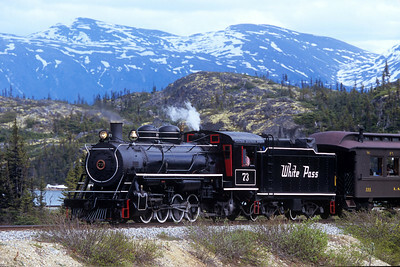 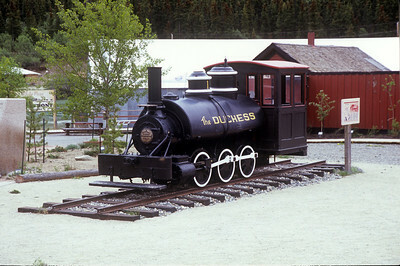 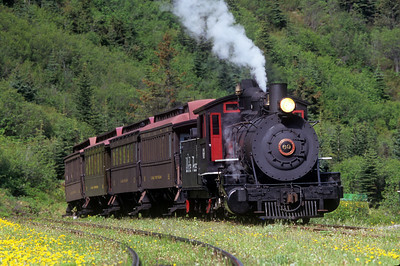 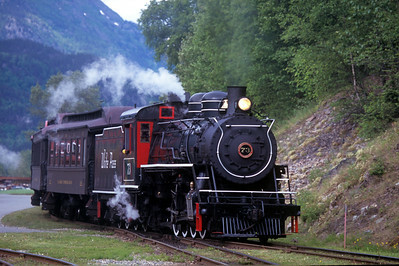 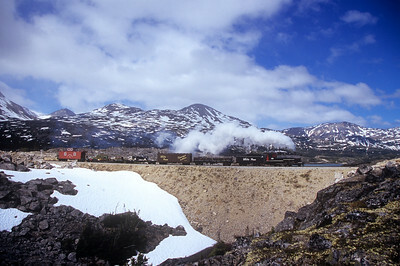 The Duchess, a 30-inch gauge 0-6-0T, has been sitting in Carcross for over 80 years. 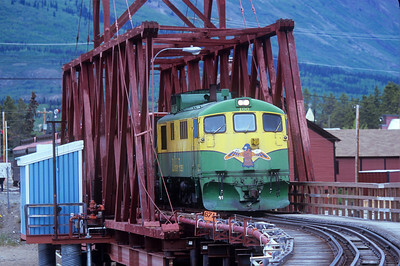 Loaded with railfans on their way to Skagway, AK, WP&Y diesel locomotive #100 crosses the bridge at Carcross, With upgrades/refurbishing taking place, this engine will soon have a "facelift" like some of its brethren. 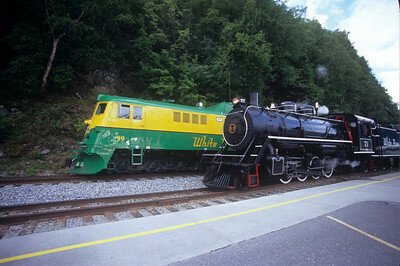 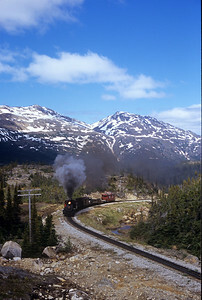 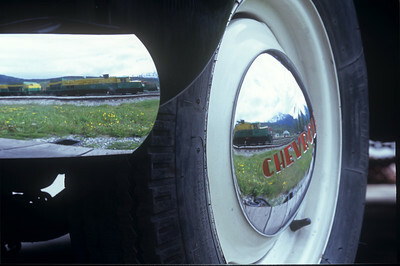 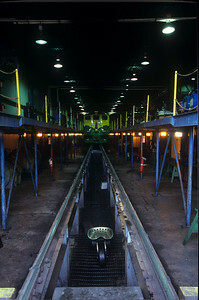 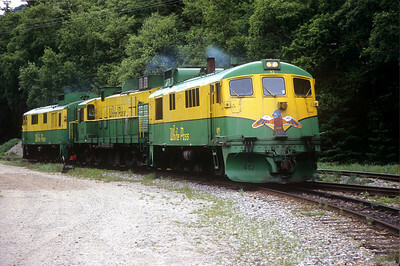 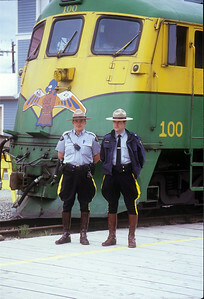 A diesel locomotive awaits servicing inside the the WP&Y shops in Skagway. 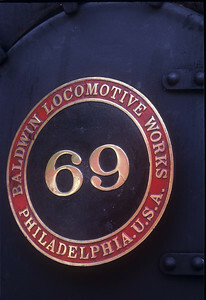 Number plate for #69: a 2-8-0 built by Baldwin in 1908. 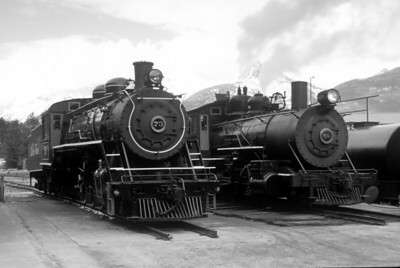 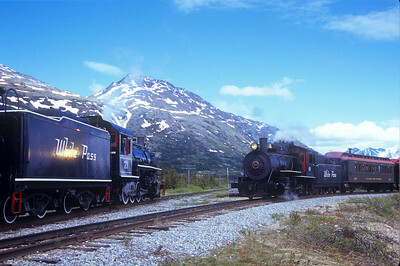 WP&Y's two steam engines wait to start the day at the shops in Skagway, AK. 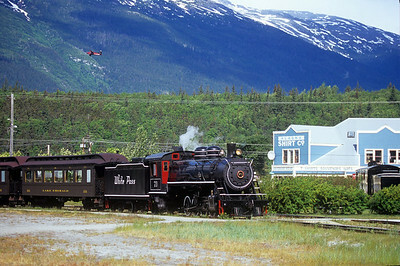 Steam engine 73 sits and waits for the cruise ship to dock in Skagway, Alaska. 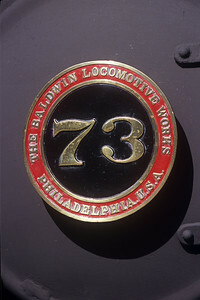 The number plate for steam engine #73: a 2-8-2 built by Baldwin in 1947.